My name is Seathrún O Tuairisg from NUI Galway and I’ll be chairing this particular panel. I concur with all the previous speakers – I thought yesterday was lovely. I thought there were times when I felt I was floating on bubbles of endless optimism. And for this panel we’re going to be talking about IP: Intellectual Property and Copyright- What You Can and Cannot Do with Data and hopefully we won’t be brought suddenly back to Earth. So what I’m going to do is I’m going to introduce the speakers as they come on and then we’ll have some time for questions at the end. And so without further adieu I’d like to introduce our first speaker, Dr. Mary Muldowney, she’s a research and training consultant. She’s a member of The National Consultation Panel on Cultural Heritage and Global Change at The Heritage Council. She’s also a founding member and director of The Oral History Network of Ireland whose aim is to promote the collection, preservation and use of recorded memories of the past throughout Ireland. She also asked me to mention that they’re undergoing a project at the moment where they’re collecting stories about the legacy of the 1913 lock-out and that they’d be more than willing to listen and collect anything you may have about that particular occasion. So…Mary, thank you. I just want to make sure I’ve got the right presentation. While this is loading can I just say thank you to Sandra and Natalie for the invitation to speak this morning. I feel I may be slightly misplaced in this incredibly expert panel but I do know what I’m talking about in relation to oral history and as a result of yesterday’s wonderful presentations an area lies that actually that a lot of what we generate is “born digital” data so it’s kind of changed my terms of reference somewhat about what we do in recording interviews. As Sharon said I’m here primarily as an oral history practitioner but in The Oral History Network we are trying to work with people who use interviews to collect data across social science as well as history. So it’s about trying to promote best practice but also thinking about in particular the ethics of what we do. And to some extent the ethical framework has changed by the digital possibilities that there are out there and I’ll come back to that later. When I started during Oral History in the 1990’s I read about it quite a bit and I thought well it would be very useful for expanding on the archival sources because my training as an historian from a primary degree perspective was to look at the archive and the documents. And I realised that because my primary interest is labour history that there were enormous gaps In fact, ordinary, working people generally didn’t appear in a lot of the archival records except as statistics. We get hidden facts about the past from oral history and we can access individual viewpoints and expertise that wouldn’t be available otherwise. And of course the whole process of doing oral history collection can allow you to think about the formation of collective memory and what that means for society. Now as I say here: so far, so safe….and so potentially arrogant because as soon as I actually started doing interviews I realised a very crucial lesson that it was not all about me as the researcher that the interviewee had their own input and of course that should be what directs what we are doing as researchers. So in terms of the evolution of my own oral history practices was to come to accept at least the shared authority of the interviewee. Actually at this stage I would prioritise the authority of the interviewee because, particularly where you’re using people’s life experience — well that is their life you’re asking them to share with you and ultimately with a public audience they may not be able to identify — so there are ethical dilemmas arising from that. 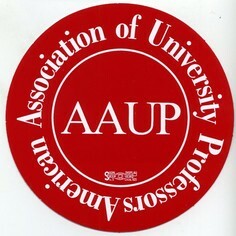 Mostly we get around it with asking them to sign research consent forms. They’re supposed to be informed about what they’re going to be doing and what they’re taking part in but I have to say in my own practice I think where I’ve erred on the side of caution it would have been in protecting the interests of the interviewees and honouring their wishes. And I’ve occasionally advised people to leave things out of what they’re giving me permission to use because they could be potentially be I suppose dangerous to them in a labour context. Embarrassing? I tend not to notice but occasionally I have been refused permission to use interviews and to this day I don’t really understand what the problem was but you have to honour the interviewee’s wishes because ultimately best practice in oral history and social science interviewing is based on trust. It’s got to be a collaborative relationship. And it has to be that you establish the trust, you establish rapport but that the interviewee knows that you will go to whatever lengths are required to protect that relationship. So making recordings available whether they’re digital or otherwise (and they are all digital now really) should be within an ethical and legal framework that protects the interests of the interviewees. Back in March in this very room The Oral History Network organised a seminar about the ethics and best practice and the law. And Andrea Martin gave an absolutely wonderful presentation which you can read on the website of The Oral History Network. But she referred to the legal framework and the constitutional right to freedom of expression, for a start: the constitutional right to privacy, the law of confidentiality, image rights protection and copyright law and performer’s rights and data protection legislation. Now I was both awed and intimidated by the range of what I should have been considering but what Andrea also said which really struck me was that conscientious observation of ethical norms will generally protect the researcher in the legal context. And for the most part that is true. However, can I just remind people who’ve already read this but also others who haven’t: that in oral history practice one of the seminal textbooks, manuals, is Paul Thompson’s Voices of the Past which first came out in 1978 and at that stage what he was doing was challenging the academic establishment and defending the practice of oral history mainly for its legitimacy and its reliability. And he explained all sorts of aspects of the nature of memory and how it can be useful in doing research. I’m not even going to go into any of that now because I think subsequent experience has totally vindicated the practice of oral history. But an important point that he made was that oral history practice and social science investigation through interviewing really facilitates the social and political purpose of recording history which is to understand the past in order to make changes in the present. 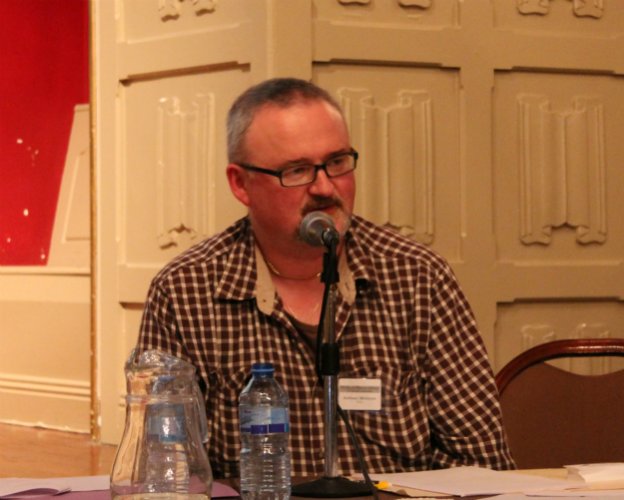 And at another Oral History Network event in Ennis a few weeks ago Anthony McIntyre gave a presentation. Now Anthony McIntyre was one of the researchers on The Belfast Project which is more familiarly known as “the Boston College case”. And he was talking about his own experience in The Belfast Project with forty-odd interviewees –- who came from both sides of the sectarian divide — some of them political activists, some of them paramilitaries, some of them both over a period of years, gave interviews to the three interviewers there. …it was envisaged that the material would be of benefit not merely to historians but also to people involved in conflict resolution and policy making right across the board. If the causes of politically violent conflict can be better understood and anticipated in advance then it stands to reason that the potential for averting such conflict increases. Now Voices From the Grave: Two Men’s War in Ireland was a publication that was issued by Boston College in 2010 and it featured interviews with the late IRA activist Brendan Hughes and the late David Ervine, who had been both an Ulster Volunteer Force activist and later was leader of the Progressive Unionist Party. And as I said the original agreement had been to hold the interviews but because both of these men were dead Boston College got Ed Moloney, one of the interviewers, to write up the interviews and present them in this book which also later became a documentary film. And so far I have to say so very unsafe. That is a very problematic arrangement because it didn’t take account all of the other 40+ interviewees. The British government subsequently issued a subpoena against Boston College for the release of the Dolours Price interview in particular. Because Brendan Hughes had implicated Gerry Adams in the Jean McConville disappearance. And then Dolours Price is said to have given an interview in which she implicated both herself and Adams again. So after lengthy court cases which Anthony McIntyre explains in his paper, it was agreed that that interview could be released to British authorities. It’s still subject to legal wrangling and I’m not going to go into that now. But what it underlines is what Anthony McIntyre was saying and I fully agree with him in this: is that the guarantees that were given to the people who took part in that project in the first place were to protect them and that protection should have been maintained, that that is part of the researcher’s obligation to the research participants. Now in his presentation McIntyre referred to two Canadians researchers who’ve done a huge amount of work on research and ethical frameworks for trying to set up legal protection in Canada. I’m going to quote from them here because I do think it sets out much more cogently than I would what I believe is the position of a researcher collecting data, digital or otherwise, that is going to be made public. Pragmatically pledging or maintaining strict confidentiality provides the foundation of trust and rapport that allows researchers to gather valid data to promote understanding of the human condition and provide the basis for rational social policy. In some cases information shared with the researcher may so sensitive and its disclosure so potentially damaging that the fate of the individual may literally rest in the researcher’s hands. In such situations both the researcher’s ethical obligations and the need for a solid bond of trust are clear. If people do not trust researchers they will not share sensitive information and the value of research to society will diminish. Now I have to say I have been fortunate in never having had an ethical dilemma of the type experienced by the researchers in The Belfast Project. But it could well be, and there have been many instances throughout the world, where researchers have faced threats to their freedom or safety. But I have to say that the bottom line still has to be, and I hope I would have the fortitude if the situation ever arises, to understand that you have to go “the whole hog”. And Anthony McIntyre is saying he’s willing to go to jail to protect his sources even though Dolours Price herself has already gone public on the issue. But at the end of the day what you have to say as a researcher, if you make an agreement with your research participant, you must honour it regardless of the consequences to yourself. Now that may be legally dodgy and I rely on the experts here possibly to take that up, but ethically I think it has to be the foundation of the relationship. One of the difficulties in social science or oral history interviewing is the possibility of a power imbalance. That the social realities, different class, different socialisation, different educational backgrounds, can actually work against honest and open disclosure by interviewees talking about their lives. A good interviewer will try and get around all of that and will balance it but it’s something that has to be borne in mind. Now while the outcome of The Belfast Project has been difficult, to put it mildly, I’m not suggesting in any way that oral history or social science interviewing is fraught with either ethical or legal difficulties that cannot be overcome. But the way to deal with it isn’t easy. You have to consider it’s a philosophical and an ethical question that must be considered over and above the practicalities of arranging the research structure. It doesn’t mean that as an academic researcher you don’t engage in difficult or dangerous research but that you do have to work quite hard to be sure that you can conduct respectful and informative interviews with people from all sorts of backgrounds. the good interviewers work with narrators to create a record worthy of preservation that is of value not only to scholars but also to society’s collective understanding of the past. I always think that this is something I suppose governed my own approach to research. It is about value for the future. And if it isn’t done as honestly and as rigorously as possible really we shouldn’t be doing it. Now I think that should govern any approach to the humanities. But at the same time you’d be aware that quite often the interviewees don’t see themselves like that and have said “sure we don’t have anything interesting to say”. If I had a Euro every time that was said I actually would may even be solvent. But in the “tea and cake” revelations there quite often you get told things over the conversation at the end that the interviewee wouldn’t be willing to put on the record. And what I’m asking there are some of the questions, ethically and legally, that arise: so if I’ve been told something and I paraphrase and I put it into the digital record that goes online or in public access it a am I breaching the consent? If I anonymise it-is that another breach of trust? How valid is my interpretation if it’s just based on my interpretation of what they’re saying because I don’t have the record to check back on and I may have taken post-factum notes rather than contemporaneous. And how do we ensure that researchers behave honestly? And what kind of penalties should be imposed? And if they should be, by whom? If there are no clear guidelines (which there aren’t really at the moment) or legal constraints on how the interviews are conducted whatever does happen- with what’s done with them in the future. And is it desirable to have “the one size fits all” approach? I think these are questions the DRI needs to consider in making a digital repository accessible. Now I used to work with print, with verbatim transcripts, but I’m conscious of the fact that a lot of consents I had weren’t print production and the possibility of the website means that there’s now an audience potentially of millions as opposed to maybe the hundreds or thousands that were originally envisioned and that can be very frightening indeed to the interviewees who gave the original consent. And you have to think about that. I mean I know I’ve had…several of my interviewees, I’ve been asked would I recommend them for inclusion in radio or tv documentaries and without exception they’ve all refused; they say oh no…I wouldn’t do that… because I mainly do talk to elderly people. The issue of ownership is very important – that shares authority and as I’ve said, there is no easy answer. Confidentiality can only be guaranteed through anonymity but that has to be looked at on a case by case basis. And it may well may be that anonymity is the only way that you’re going to get the information to achieve the research objectives but then there are issues around that that need to be considered. But then there are issues around that that need to be considered. And if the law can be used to force the release of data that was not intended for disclosure until a certain time, what implications does that have for us? So I suppose really you’re thinking, too that Dolours Prices has now landed Gerry Adams in the situation Boston College did originally by publishing Voices From the Grave – but that doesn’t really matter. The relationship originally was between the three interviewers and the interviewees who trusted them. And they do have to honour that relationship regardless of the personal implications for them. But of course that makes a strong argument particularly legacy interviews in difficult situations, that kind of putting interviews aside until it is safe to release them is probably the best way to suit them being used for particular agendas. The general analysis of what they have to say can still be used for social benefit. It doesn’t mean we don’t engage in interviewing that are potentially controversial or dangerous but we do need protective mechanisms and that’s the code of practice for the DRI. But at the end of the day I would like to remind everybody that academics aren’t police but we should be able to operate and research with independence and freedom to operate provided we’re not causing harm directly in what we’re doing. And in the humanities I think that is particularly important. But if what we do can be enlisted in the service police activity we’ll soon lose the cooperation of interviewees whose personal stories may have a lot of value indeed for public learning. Thank you. Last week the US Supreme Court temporarily stayed a Boston federal court verdict that Boston College must surrender its archived interviews with former IRA member Dolours Price. The stay expires on November 16. But, since lawyers representing Ed Moloney and Anthony McIntyre (two former leaders of BC’s Belfast Project oral history scheme) are expected to formally petition the Supreme Court hear their case, the BC tapes saga isn’t likely to end next month. But one prominent Irish American with longtime peace process involvement thinks that, even if the Supreme Court opts to take the case, America’s most powerful court won’t ever decide the fate of BC’s controversial cache of IRA interviews. “It requires a political solution,” insisted former Connecticut congressman Bruce Morrison during a Belfast Telegraph interview. In 1993 and 1994, Morrison captained several Irish American delegation peace-seeking sojourns to Northern Ireland. Shortly after one such 1994 trip, the IRA announced its historic August 1994 ceasefire that helped pave the way to the Good Friday Agreement. And, although journalistic and academic peace process accounts abound with tales of Bill and Hillary Clinton’s crucial involvement, often overlooked is their former Yale Law School chum Morrison’s key role in sparking their interest. Morrison believes that the US-UK Mutual Legal Assistance Treaty that’s been the vehicle for Britain’s formal request for the BC tapes has been opportunistically exploited by law enforcement officials in Northern Ireland. “It’s wrong to enlist the government of the United States under a treaty that was entered into to catch a terrorist threat in real time, not to prosecute 40-year-old cases,” said Morrison. As for whether or not a State Department intervention, albeit behind the scenes, can occur that will result in Britain withdrawing its request for the BC tapes, Morrison cites the cases of three 1983 IRA Maze escapees arrested by the FBI in California in the early 1990s. Pol Brennan, Kevin Barry Artt and Terry Kirby spent most of the 1990s fighting extradition until, in the Good Friday Agreement’s aftermath, Britain dropped its extradition requests. “And I was involved in getting the British to withdraw. So I know it can be done,” said Morrison. Two Boston College researchers caught a break on Wednesday when Supreme Court Justice Stephen Breyer extended a previous stay he had granted of a district court order demanding the researchers’ taped recordings with former Irish Republican Army members, reports the Boston Globe. The researchers, who have spent the last year trying to convince federal courts that they should be able to withhold oral history recordings from international authorities, now have until November 16 to ask the Supreme Court to review their case. In January, the First Circuit Court of Appeals blocked an order from a lower court judge requiring Boston College to turn over documents pertaining to a former member of the Provisional Irish Republican Army to the United Kingdom. In July, the same appellate court ruled that Boston College to hand the recordings over to British authorities, The Chronicle of Higher Education reports. A Boston College lawyer appeared before the First Circuit again in September to argue that the school should not be ordered to give police in Northern Ireland recordings of interviews with former IRA members, reports The Associated Press. Based on a treaty with the United States that requires both countries to furnish materials that would aid in criminal inquiries, the United Kingdom had originally subpoenaed the college for the recordings of interviews that former IRA member Dolours Price gave to a Boston College oral history project. British authorities wanted the documents as evidence in their investigations of crimes during the sectarian fight for control of Northern Ireland. Boston College, however, argued that the interviews were supposed to be kept secret until the subject’s death. U.S. District Court Judge William G. Young ordered the school to turn over the documents. Though U.S. officials received the documents on Dec. 30, the First Circuit’s order to stay parts of Judge Young’s decision put a temporary hold on the federal action to submit the documents to British authorities. Citing the Supreme Court’s Branzburg v. Hayes decision, (holding the reporters may not use the First Amendment as a defense against testifying before a grand jury), the First Circuit ordered the school to release the recording in July. If the Court agrees to hear the case, it will be the Supreme Court’s first reporter’s privilege review since Branzburg. As usual on Friday, Kevin Cullen of The Boston Globe joins Newstalk Lunchtime for a round up of the week’s US news. Jonathan Healy (JH): One story that you’ve worked alot on over the years (and we’ve spoken to you alot about it as well) is the Boston College IRA tapes and there’s been a development in that this week. What is it? Kevin Cullen (KC): It’s very surprising actually, Jonathan. The was the last, basically last, ditch effort that Ed Moloney and Anthony McIntyre, the Irish-based researchers in the Project who are resisting turning over these tapes, they went to the Supreme Court. And I don’t know anyone here who really thought they had a shot. But there’s one member of the court named Stephen Breyer, one of the nine justices, he’s in the liberal-wing of the court and he’s just granted a Stay, so that they do not have turn to over these tapes until the court decides whether it will hear the whole case itself. Now that’s remarkable! I don’t think anybody in the legal community thought these guys had a chance. And the fact that Breyer would issue that Stay, I was actually talking to one of the attorneys yesterday on the case – he actually has represented The Boston Globe on a number of first amendment issues – he thinks that the only reason that Breyer would do this is that Breyer is actually lobbying the other members of the court to take this case on. That obviously, beyond the ramifications for Boston College, and in fact for Gerry Adams who’s been implicated in these tapes, beyond those ramifications is the whole idea of research, of Oral History, and whether in fact people can make promises of confidentiality in that. Clearly Breyer thinks this is a case that the entire court, the highest court in the land, should hear. And that’s something’s he’s working on because he would not have granted that Stay. So basically nothing’s going to happen until the court decides one way or another whether they’re going to hear this case and the lawyer I talked to yesterday suggests that will not happen until early next year probably sometime around February. JH: And even then, would it be concluded at that point or would it be just entering another long, legal process? I’m guessing: that like the Supreme Court here, the Supreme Court in The States takes a long time to consider these matters. But once they decide to hear it – they get to it pretty quickly and they generally will report out within the year. So this case could actually come to a head sometime say June or July. That’s very often when these cases are released by the court. The court takes very, very few cases so the actual turnaround is quick. JH: Okay. We’ll watch that one as well. THE United States Supreme Court has issued a temporary order banning authorities from handing over the Boston College tapes to the PSNI. The temporary reprieve in the long-running legal battle has been welcomed by journalist Ed Moloney and project researcher Anthony McIntyre. Both men recorded a number of interviews with former republican and loyalist paramilitaries about the part they played in the Troubles on the condition that details of the tapes would only be made public after their deaths. However, PSNI officers investigating the disappearance and death of west Belfast woman Jean McConville want access to interviews given by Dolours Price as well as a number of others. In July this year a US court ordered that the interviews should be handed over to the PSNI. This week’s court order, which runs until November 16, came after an earlier hearing issued a stay on the handover of the tapes to allow the Boston College researchers time to consider an appeal to the US Supreme Court. Earlier this month in Belfast Mr Mclntyre lost a High Court bid to prevent the PSNI taking possession of his interviews with Ms Price. Despite the ruling, the PSNI will not yet automatically gain access to the tapes as lawyers are expected to lodge an appeal against the decision. And any handover of the material has also been put on hold until the US Supreme Court makes its final decision. The US Supreme Court yesterday extended the stay of a Federal Court order which provides that transcripts and tapes of interviews between researchers at Boston College and a member of the Provisional Irish Republican Army should be handed over to the British government. In 2001, Boston College began a research project (known as the “Belfast Project”) which looked into the Troubles in Northern Ireland. Between 2001 and 2006, a number of individuals were interviewed as part of the Belfast Project, including former members of the IRA and the Ulster Volunteer Force. These interviews were conducted on the understanding that the information given by the interviewees would remain confidential until after their deaths. 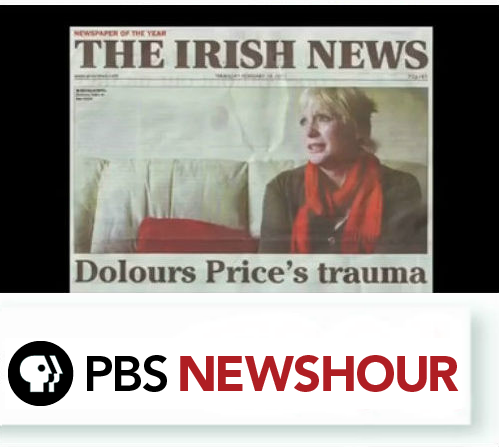 One of the interviewees was Dolours Price, a former member of the IRA who in 1973 was convicted in the English Courts in relation to her role in a car bombing at the Old Bailey. Ms Price has since given interviews to The Sunday Telegraph and CBS Evening Newsin which she made reference to her activities as an IRA member. In the latter, she referred to having a role in the abduction of Jean McConville. Jean McConville was a West-Belfast mother of 10 who was allegedly abducted, murdered and secretly buried in 1972 by the IRA as a result of being a suspected informant. Hers was one of the most high profile murders that took place during the Troubles, and remains unsolved. The Police Service of Northern Ireland is seeking access to the recordings and transcripts of the interviews Ms Price gave to the Belfast Project in connection with the unsolved murder, claiming that they contain a detailed account of what happened to Jean McConville. The British government has issued subpoenas for the documents under the terms of a Mutual Legal Assistance Treaty (“MLAT”) between the US and the UK. Earlier this year, the First Circuit Court of Appeal upheld the decision of the Federal Court. Mr Moloney and Anthony McIntyre, a researcher for the Belfast Project (who was previously an IRA volunteer), are seeking an appeal of this decision by the US Supreme Court. Messrs Moloney and McIntyre’s lawyers argue that the MLAT gives the British government greater powers in relation to issuing subpoenas than could be exercised by US bodies: subpoenas issued by the latter could be challenged on First and Fifth Amendment grounds, whereas subpoenas served by foreign powers under an MLAT cannot be challenged in such a way. It has also been argued that disclosure of the tapes could risk the welfare of Mr McIntyre. “My clients have raised issues of exceptional importance, including the constitutional right to free flow of information to the American public in the face of a foreign subpoena, the protection of important academic research, and the harm which the release of these materials would cause”. The decision of the US Supreme Court means that Messrs Moloney and McIntyre will have until 16 November to file a formal appeal of the First Circuit Court of Appeal’s decision in July of this year. Oct 17 (Reuters) – The U.S. Supreme Court on Wednesday blocked a bid by authorities for access to interviews with a fighter from Northern Ireland’s “Troubles,” a temporary win for a pair of academic researchers. At issue is whether authorities in Northern Ireland can obtain records from an archive at Boston College. The case has been closely followed on both sides of the Atlantic as it could show in uncomfortable detail the possible roles played by current political figures during the sectarian conflict, including Sinn Fein President Gerry Adams. Adams, a member of the Irish Republic’s parliament, has said he has nothing to fear from the college’s materials. In a brief order, Supreme Court Justice Stephen Breyer stayed an appeals court decision that would have turned over material from the archive to police in Northern Ireland. Breyer’s order will last until Nov. 16, or until the resolution of an appeal of the lower court ruling that the researchers plan to bring to the Supreme Court soon. The researchers – including journalist Ed Moloney and Anthony McIntyre, once a member of the Irish Republican Army – were part of a project that interviewed dozens of fighters from both sides of the conflict, which ended with a U.S.-brokered peace treaty in 1998. Interviewees were told their words would remain sealed until their deaths. But after a series of news articles several years ago, the Police Service of Northern Ireland sought Boston College’s records to help solve one of the most notorious killings of the sectarian conflict – the 1972 death of Jean McConville, a widowed mother of 10. McConville was killed by the IRA on suspicion of being an informer, an accusation her family has denied. Her body was recovered in 2003. The U.S. Justice Department had demanded the records on behalf of the Northern Ireland police, citing legal-assistance treaties, despite opposition from U.S. politicians worried the case could damage the peace process in Northern Ireland. Since the legal battle began, the Northern Ireland police have gained access to archived interviews by Brendan Hughes, an IRA figure who died in 2010. But access to interviews with eight other IRA figures remains in dispute. Technically, the matter before the Supreme Court concerns only interviews with Dolours Price, an IRA member who was jailed for her part in the 1973 bombing of London’s Old Bailey courthouse that injured more than 200 people. The court’s decision in her case will likely determine the fate of the other interview material, said Eamonn Dornan, an attorney for the researchers. Lawyers for journalists and historians behind an oral history project involving former IRA and loyalist paramilitaries have won a court case in the US that temporarily stops the Police Service of Northern Ireland (PSNI) from seizing their highly sensitive material. The PSNI is seeking tape recorded interviews connected to one of the most notorious murders of the Troubles – the kidnapping, killing and secret burial of west Belfast woman Jean McConville. The police have gone to the US courts to force Boston College to hand over tapes from the Belfast Project, an archive of interviews of former IRA and loyalist activists. But three lawyers acting on behalf of the Belfast Project’s director Ed Moloney and one of its interviewers, the former IRA prisoner and writer Anthony McIntyre, scored a victory over the PSNI. The supreme court granted the legal team a stay to hand over the taped archive to the PSNI. This measure will remain in place until the court decides whether to hear the case advocated by Moloney and McIntyre’s US legal representatives. Award-winning journalist Moloney described the decision as “a fantastic victory” at the supreme court. Moloney and the Belfast Project researchers have argued that the PSNI action violates the principle of source protection. They contend that no historian or researcher will ever get to the full truth about what happened in the Troubles because a key set of actors in the conflict – the republican and loyalist paramilitaries – will never speak frankly again if the PSNI gets its way. 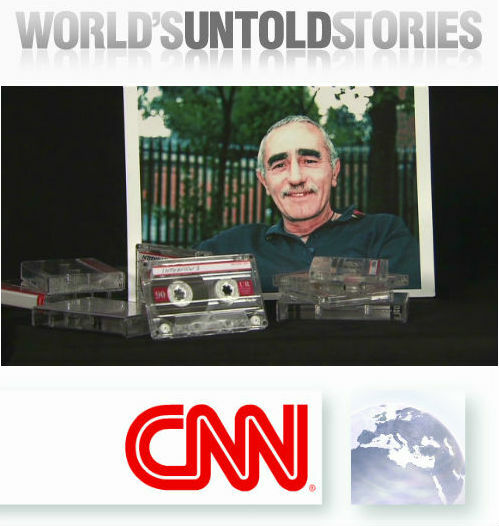 In addition their lawyers have claimed that allowing the police to obtain the material would, in particular, put McIntyre’s life in danger as he had given assurance both to his former IRA comrades and Ulster loyalists that their interviews would only be made public once they had died. The PSNI wants access to interviews given to the Boston College/Belfast Project by former IRA Old Bailey bomber Dolours Price. They claim Price gives a detailed account of how McConville was targeted, abducted from her 10 children, driven across the border, murdered and buried in secret late in 1972. However Moloney and the Belfast Project deny that Price gave any details about the McConville disappearance and murder in her interviews. Price though has since spoken publicly to both the Sunday Telegraph and US broadcaster CBS confessing her role in the kidnap as well as driving the mother of 10 to her death. The Guardian revealed last week that the PSNI had started legal moves to obtain interviews and film footage from both the newspaper and the American television station relating to their stories on Price. Two researchers who were involved in interviewing former combatants in the Irish Troubles for a Boston College oral history project have won a stay of a federal appeals court order that one of the interviews should be turned over to the British government. Supreme Court Justice Stephen Breyer ruled today that the order from the 1st US Circuit Court of Appeals in Boston should be stayed, while the researchers prepare a writ of certiorari, seeking a Supreme Court hearing of their case. Breyer set a deadline for the request of Nov. 16. The order will be stayed until then. It will also be stayed while the court considers the researchers’ request. If the court doesn’t agree to hear their case, the stay will expire. If the court agrees to hear their case, then the order will be stayed until the court issues a ruling on the case, Breyer’s order said. Ed Moloney and Anthony McIntyre vowed in August that they would take their case to the Supreme Court after the Boston appeals court decided not to rehear — or have the full court hear — the case. A three-judge panel of the appeals court had previously rejected their appeal in July. Today’s Supreme Court order was “significant in the sense that it keeps alive the chance of getting Supreme Court review. … At least they’re alive to fight another day. That’s really what it says,” said Jonathan Albano, one of the attorneys representing Moloney and McIntyre. On behalf of unidentified law enforcement officials in the United Kingdom, federal prosecutors have issued subpoenas seeking information related to a 1972 slaying in which the Irish Republican Army has admitted involvement. 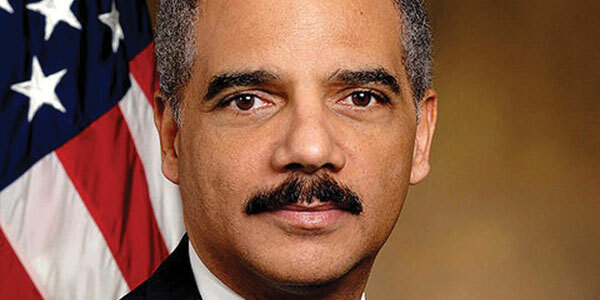 The subpoenas were issued under a Mutual Legal Assistance Treaty between the United States and Britain. But the Belfast Project, the goal of which was to document the Troubles, a decades-long period of violence, promised both Irish republican and British loyalist former combatants that their statements would not be released until their deaths. The project began in 2001 and interviews were recorded between 2001 and 2006. The order by Breyer blocks a subpoena for an interview with former IRA member Dolours Price. Boston College, meanwhile, continues a separate legal battle in appeals court over a second set of subpoenas seeking other interviews, said Albano. Albano said Moloney and McIntyre want the right to object to both sets of subpoenas.